I'm starting a new occasional series on people who collect pony books. I am also fascinated by other people's collections, because no two pony book collections are the same. Today's interviewee is Fiona Williams from Canada. I sold several books to Fiona during my bookselling career, and also snaffled one from under her nose recently, as you'll find out. JB: When did you start your collection? FW: My collection basically started when I was a child in the 1960s, as I've still got most of my pony books. I re-started it in the mid 1980s when I found some titles I didn't have going cheap in the second hand shops. Nowadays I do almost all of my book shopping on-line. JB: Why did you decide to collect pony books? FW: Nostalgia, really. I wanted to own some of the titles I'd always wanted to read as a kid, or had only read a library copy. JB: Do you collect anything else? FW: Yes. I have an almost complete set of Georgette Heyer hardcovers, and an almost complete set of Elizabeth Goudge hardcovers. I also have most of the Thelwell books in hardcover. I've also got quite a number of the juvenile historicals I read as a child, by such authors as Cynthia Harnett, Geoffrey Trease, Laura Ingalls Wilder and Eloise Jarvis McGraw. I've also got a fair number of antique reference books, many with absolutely gorgeous colour plates. 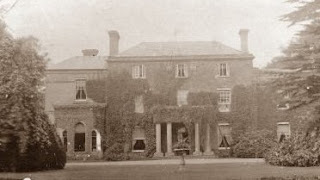 Most of those date between about 1900 to about 1935. JB: What is your best find? FW: I've had a number of "best finds", but one that sticks out among the pony books would be about half a dozen Marguerite Henry hardcovers going for 75% off in a store which was closing down. JB: Is your collection aimed at anything in particular – eg, a particular author/time span? 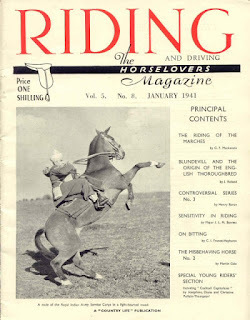 FW: Most of my pony books were published prior to 1980, with the majority being prior to 1970. I'm not quite so interested in the more modern stuff, although I do have a few. In the past few years, I've mainly been collecting hardcovers, preferably with dust jackets. Many of these are replacements for earlier paperbacks, which had been falling apart. Also, far too many of the paperbacks had been abridged, and I want complete original versions. Living in Canada, I do have both American and British titles. JB: Do you try and keep your collection within bounds, or is it anything goes? FW: Basically anything goes, although I do try frantically to keep it within the bounds of the available bookshelf space. That's kind of a losing battle, as many of my books are double shelved, with the paperbacks at the back. JB: Where does your collection live? FW: The pony books live in my bedroom. I have a corner shelving unit in there comprising twelve shelves, six on either side. They have to share that space with other genres, though. JB: Is there one that got away? 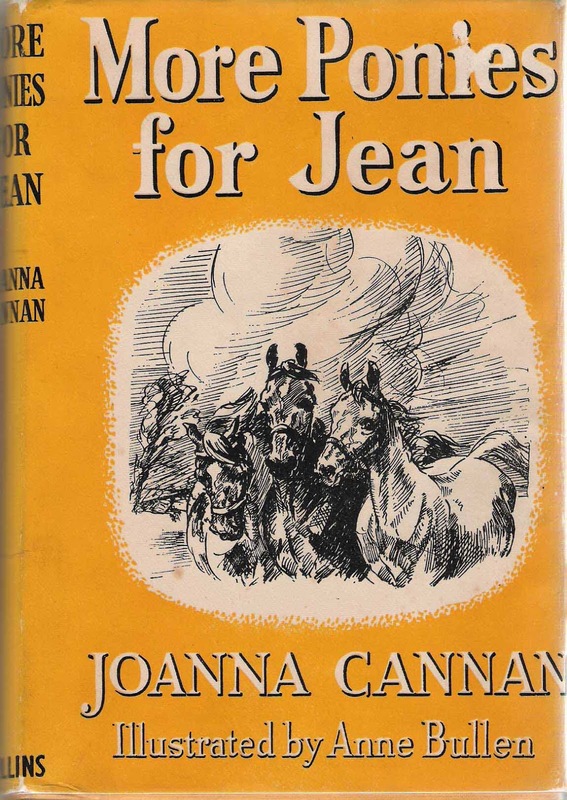 FW: Yes, you beat me out in an eBay auction for a copy of Joanna Cannan's More Ponies for Jean, in hardcover with dust jacket a while ago. I'm glad to report that I have recently found another going fairly cheaply at $25.00, although it isn't in quite such good condition as the one you got. JB: What is your most treasured book? FW: That's an incredibly difficult question to answer. Is it my complete set of Jill books in hard cover with dust jackets? Is it my almost complete set of Pullein-Thompson hardcovers with dustjackets? Maybe my Walter Farley hard covers? Or is it my 8 volume miniature set of Shakespeare that was published in 1852 and has been in my family since new? Probably the latter. I've never ever seen another set like it, and I've been booking for years. I tried to have it valued once, and the valuer gave me what I suspect was a seriously low ball figure, and then promptly offered to buy it. JB: What book would you be happiest to see under the Christmas tree? 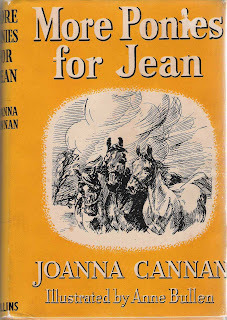 FW: Right now that would be a toss up between a hard cover copy with dust jacket of For Want of a Saddle, which would complete my early Pullein-Thompson collection, or Joanna Cannan's Another Pony for Jean, also in hard cover with dust jacket. Thank you very much Fiona! I hope you have an excellent Christmas, and promise you I am well and truly out of the market for Another Pony for Jean. Gah, I was hoping Jane would catch that typo I made. I spotted it right after I hit send when replying to her questionnaire. And Christina, I fully understand about wanting to see other people's collections. If I go into someone's house and they have a lot of books, it isn't usually too long before I'm edging towards the shelves to take a peek at what they have. Sadly, not so many people seem to do that these days. The bedroom bookshelves mentioned above are not my only ones - many more books are on the living room shelves, and all to often I get people asking why don't I just get a Kindle instead. I do have one, but it could never replace the look and feel of an older book. Nope - not concentrating I'm afraid!